Looking to Root Honor 10? Then you’re at the right place. In this guide we will help you to one-click Root Honor 10 and install TWRP Recovery. Installing TWRP Recovery and Rooting are among the important things if you’re trying to make your Honor 10 most of it. TWRP recovery is a fully touch-based custom recovery which lets you install Custom ROM, Kernel, Mods, Root or even perform backup and restore of any firmware. All these tasks cannot be perform with company’s stock recovery. Once the TWRP recovery is installed, you can flash the Magisk one-click zip file to gain root access on your Honor 10. Rooting your Android smartphones removes the restrictions and limitations from your device thereby making most of it. For example, Honor 10 users can install root-only apps once the device is successfully rooted. It is worth important to note that rooting voids company warranty, but there is no need to worry about as users can claim back warranty by flashing stock firmware again. To remind you, Honor 10 was announced in April this year featuring 5.84-inch Full HD+ 2.5D curved glass display with a notch and 19:9 aspect ratio. Under the hood, there is an Octa-Core HiSilicon Kirin 970 10nm SoC coupled with Mali G72 MP12 GPU and 6GB of RAM. Other features includes a 16MP + 24MP dual rear cameras, 24MP front cameras, Android 8.1 Oreo with EMUI 8.1 on top (upgradable to Android 9.0 Pie based EMUI 9.0), and a 3400mAh battery. 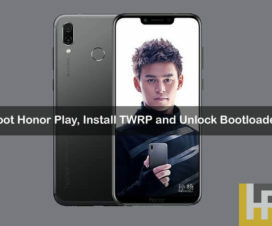 This TWRP / rooting procedure is compatible only with Honor 10. Don’t try on any other Huawei/Android smartphone. Bootloader of your device should be unlocked. 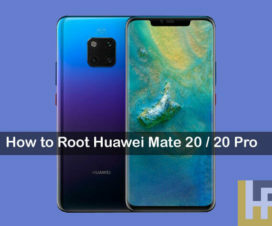 Follow our guide on how to unlock bootloader of Huawei phones. Charge your phone at least 70% or more to avoid unnecessary power-off inbetween the rooting procedure. Setup ADB & Fastboot tool on your Windows. Disclaimer: HuaweiAdvices should not held responsible for bricking or damaging of your device. Always, proceed at your own risk. 1. 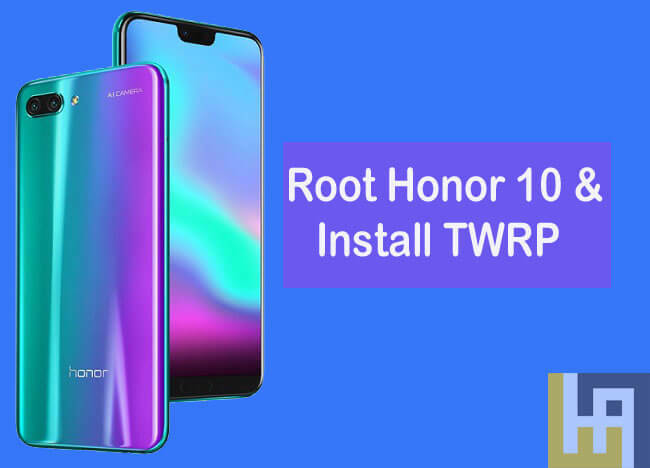 Download the TWRP Recovery for Honor 10 from above download section. 2. Rename the file to twrp.img and transfer it to fastboot folder. 3. Go to Fastboot folder and launch command window. To do so, you need to press and hold the Shift key and right click anywhere inside the folder and choose Open command window here. 4. Now follow our simple guide on how to install TWRP Recovery via Fastboot from here. Once TWRP recovery is installed on your Huawei device, you’re all set to flash magisk zip to gain root access. Follow the below steps for the same. Here is the guide on how to root Honor 10 smartphone. 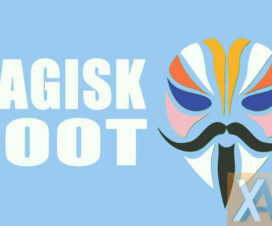 Make sure to download Magisk to root your smartphone. I hope this guide was helpful to root and install TWRP Recovery on Honor 10. For any queries or issues during the rooting procedure, feel free to comment below.